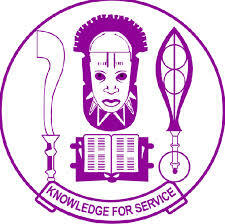 LATEST educational news reaching our news desk today, is that the University of Benin, popularly known as (UNIBEN), which is one of the best Federal University in Africa, with good learning equipment and good Professors and Lectures which makes the institution to be listed among first and top 10 universities in Nigeria, has released her guidelines on how to download the school’s clearance invitation letter. The University of Benin have the best security and strict admission process when it comes to clearance for new applicant and graduating students, so they’re advancing and this is their new method of getting newly admitted students cleared to commence academic activities for the 2015/2016 academic session. 2: When it loads up, you’re expected to login using your personal STUDENT ID and PASSWORD. And remember that the only way you can download the clearance letter is after you have saved and make a request for your clearance. The Dailyschoolnews.com.ng team wish you, the very best! Don’t forget to share this information with your friends on Facebook, twitter and Google+, using the share buttons below.